On Friday, October 28, the Administrator of the Patriarchal Parishes in the USA, His Grace Bishop John of Naro-Fominsk visited the Consulate of the Russian Federation in Houston, Texas. On Saturday, October 22, on the feast of Holy Apostle James, son of Alphaeus, the Administrator of the Patriarchal Parishes in the USA, His Grace Bishop John of Naro-Fominsk celebrated the Divine Liturgy in St. Nicholas Cathedral in New York City. On October 18-19, the clergy of the Central States Deanery of the Patriarchal Parishes in the USA assembled for the second and final clergy meeting of the deanery at the Natvity of Christ parish in Youngstown, OH. 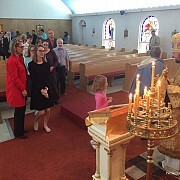 On Sunday October 16, the 17th Sunday after Pentecost, the Administrator of the Patriarchal Parishes in the USA, His Grace Bishop John of Naro-Fominsk led the Divine Liturgy in the Church of St. Andrew the First-Called in East Lansing, MI. 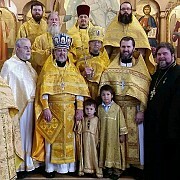 On Saturday, October 16, the Administrator of the Patriarchal Parishes in the USA, His Grace Bishop John of Naro-Fominsk celebrated the Divine Liturgy in the Church of the Holy Prophet Elias in Battle Creek, Michigan on the occasion of the parish's semicentennial. 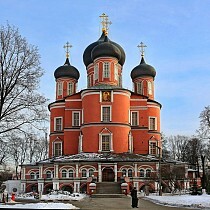 On Sunday, October 9, the Administrator of the Patriarchal Parishes in the USA, His Grace Bishop John of Naro-Fominsk presided at the Divine Liturgy in St. John of Shanghai and San Francisco Church in Framingham, Massachusetts. 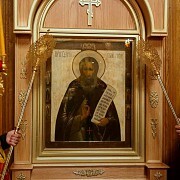 On the feast of St. Sergius of Radonezh, October 7-8, the Administrator of the Patriarchal Parishes in the USA, His Grace Bishop John of Naro-Fominsk led the All-Night Vigil, Akathist and Divine Liturgy in St. Nicholas Cathedral in New York City. 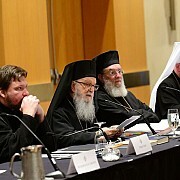 From October 4-6, the Seventh Annual Assembly Canonical Orthodox Bishops of the United States of America was held in the city of Detroit, Michigan.